Because the weather in the last months did not allow any work on the antennas outside, so some time was left for QSO’s on the shortwave bands. 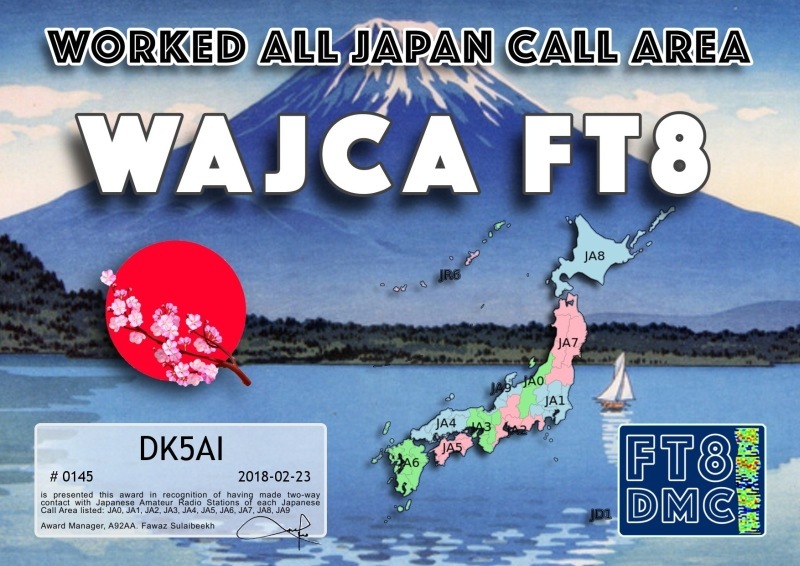 Especially in FT8 mode many interesting DX stations could be reached. 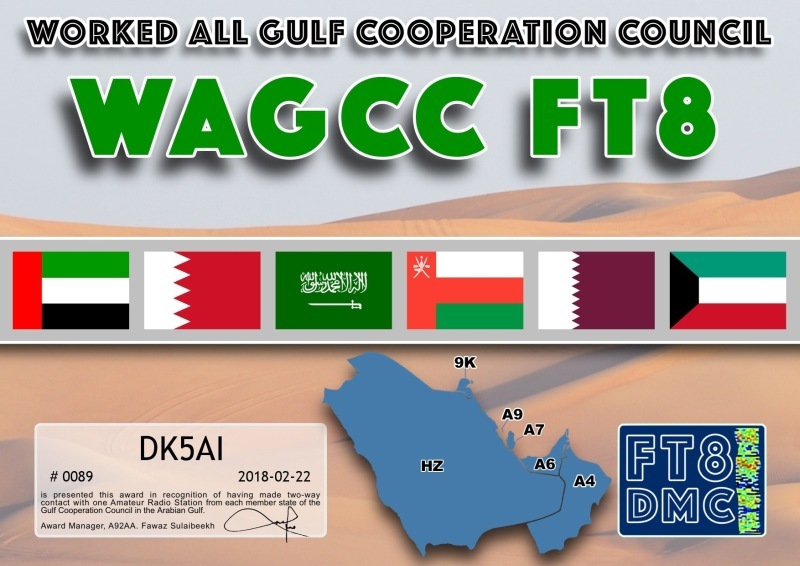 Almost every day, the FT8DMC-Club launches new colorful diplomas for contacts in the FT8 digital mode. The application is made simply via the “Ultimate AAC” software. Mostly, the certificate can be downloaded after a few hours in the download center of the EPC-MC. This entry was posted in Awards and tagged Awards by dk5ai. Bookmark the permalink.